With less than a week to go until the third Isle of Man mapping day - to be held in Douglas on Saturday 2nd October - we are launching a new version of themap.im with the aim of helping to promote the new map of the Isle of Man. For over four years, volunteers have been building up the map of the Isle of Man as part of the OpenStreetMap project, creating a map of the Island that can be used by anyone, not only as an online map, but also as a source of information for their own projects. 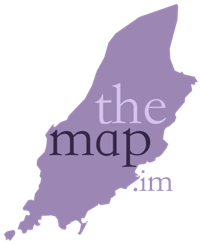 themap.im is one such project, built by Dan Karran with the aim of promoting this new map of the Isle of Man and showing what can be done with open data to help promote local businesses and organisations both within the Island and to a wider audience. The site will continue to grow from this initial stage, to include an online directory of much of the information contained within the map, and an ability to simply update any of that information, which we will then use to update the OpenStreetMap project itself. If you are interested in this new map of the Isle of Man, please do come along to the Velvet Lobster at 10am (or 1pm) on Saturday to the mapping day for an introduction to the OpenStreetMap project, what it's all about, how to update the map, and how to use the information in various ways. 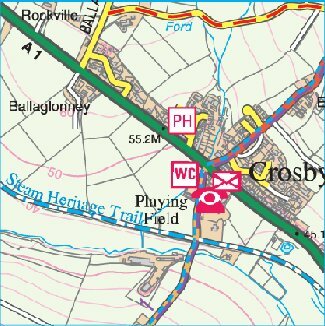 On Saturday 2nd October we will be holding the third Isle of Man mapping day for the OpenStreetMap project and it's open to anyone. If you're on the Isle of Man and interested in maps, new technology or are just keen to get out and about and explore Douglas for the day, why not come along to join us on the mapping day to find out more about the project and get an introduction to mapping. 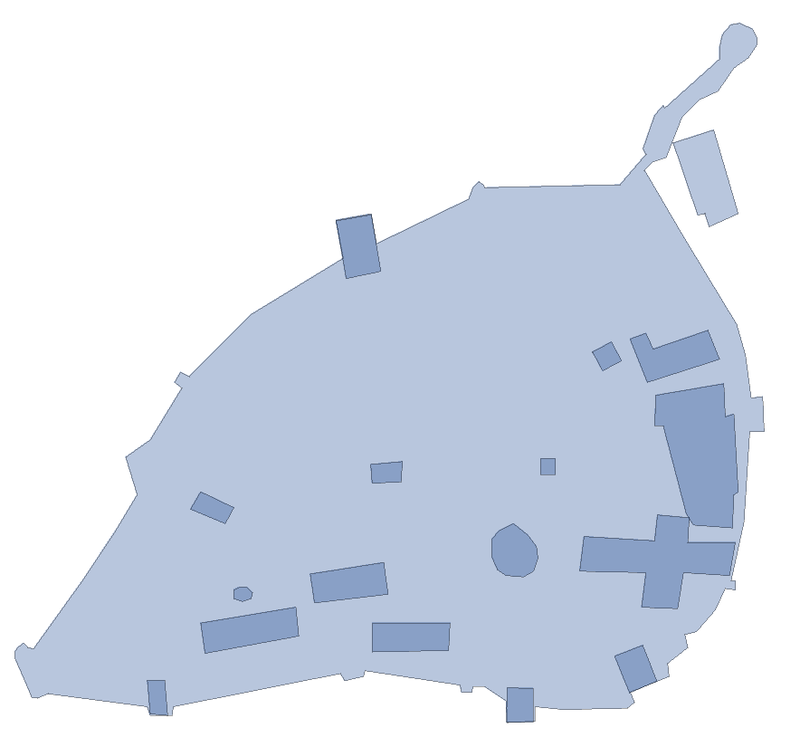 We'll meet for a coffee in the morning (from 10am) at Velvet Lobster on the North Quay in Douglas, and after a short introduction to the project and chat about how to get started mapping, we'll head out onto the streets to add some detail to the open map of the Isle of Man. After a while (1pm) we'll meet back at the Velvet Lobster for a bite to eat and chat about the morning's mapping, before heading back out. At 3pm we'll meet up at the cafe again and to introduce you to the basics of making your own updates to the map. If you're keen to use the maps yourself, we can help you get set up to do that, and point you to some of the useful services available that use data from OpenStreetMap. Want to find out more? Drop me an email to dan at karran dot net, tweet me @dankarran or give me a shout on 07736 314138. If you'd like to come along, I'd appreciate if you could let me know in advance, so we have an idea of how many people to expect. On 1st April, Ordnance Survey released a lot of their data under an open data licence, allowing it to be used freely (with an attribution to say where it came from) and incorporated into other open data projects like OpenStreetMap. The OpenStreetMap project started off in the UK because Ordnance Survey was so restrictive over the use of their data, so this has been a great win for the project, though the release of the data doesn't make the project any less likely to continue. This is partly because of the project's aim to create an open map (and open map data) for the whole world, and partly because in many parts of the UK, OpenStreetMap actually surpasses the level of detail that Ordnance Survey has released as part of their OpenData package. Where the Ordnance Survey data comes in very useful for the OpenStreetMap project is in areas where we don't (yet) have much map data, as well as for areas where we do have a lot of data, for checking that our data is accurate and complete. A little while ago I noticed that Canvey Island hadn't had much attention in OpenStreetMap, with just a few roads that had been added by a couple of users over the past two years or so. Curious about the place (and for some reason, partially imagining it to be a little like Coney Island in New York) I started to read a little about it, and thought about visiting, but the more I looked at it, the more I wanted to fill in the map. The result is below. 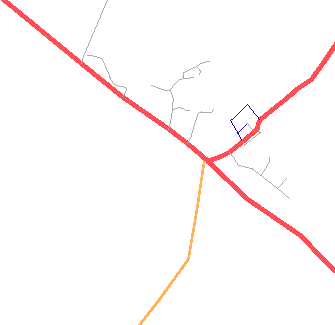 The OS OpenData allowed me to add roads (and most of their names), museums, libraries, pubs, schools, churches, camp sites, caravan sites, chalet villages and some natural features. Where things on the OS map didn't show names, it was often possible to pick these up from photos on the excellent Geograph project and from other research on the internet. Once I'd got most of the tracing work done, I also got in touch with the two local contributors I had identified, one of which got back to me straight away (despite not editing the map since last year some time), and added in any extra information he could, such as the extent of parks and recreation grounds. I think this is a great example of one open data project being advanced by the availability of data from other sources and projects. If you want to help mapping an area (it's probably best to improve the map in areas that you know rather than mapping an area like this that you don't know that well...), just follow the instructions on the OpenStreetMap wiki. If you're on the Isle of Man (or thinking of visiting) and you have an iPhone or iPod Touch, you may be interested in the latest mobile guide to the Island that's been released for the iPhone. 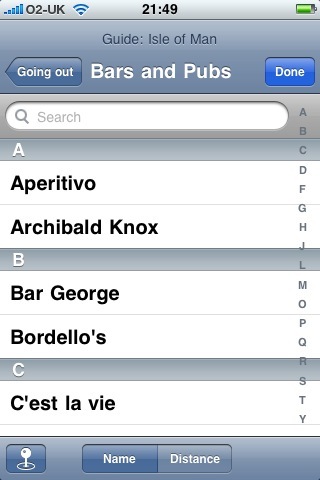 I blogged last year about a couple of specialised iPhone apps that let you see offline maps of the Island - but not much more - and I also mentioned OffMaps which at the time was simply an offline map viewer that let you download maps of anywhere in the world. Having released their latest version though, OffMaps now provides much more functionality in the form of a local guide to businesses, services and attractions, and access to Wikipedia articles about the places around you. Now, if you're looking for a bar, cafe, restaurant, museum, tourist attraction - or, in theory, anything else - you need look no further than the guide in OffMaps. It'll show you its location, give you their address and phone number (though there aren't many of these yet) and link you through to their website if they have one. Note that not everything is in there, and in particular it's lacking in the shops it covers, as well as in some other areas. If you run a business or service - or know of one which isn't already covered - and you'd like to advertise yourself in this guide to the Island, you can be a part of it for free. All of the information is based on the OpenStreetMap project and Wikipedia, so you can add your information yourself. The easiest way to edit is using the free Mapzen POI collector app for the iPhone, but if you're not comfortable, just drop me an email and I'll happily add your details in to OpenStreetMap for you, for free, and you should get into the guide the next time it gets refreshed. Note: the app is currently only listing things in certain chosen categories, so if your business falls outside of those categories it may not show up in the guide. You're still free to add your listing to OpenStreetMap though, as it could be used in the future either in OffMaps or in any other application. As I'm sure you know, there have been numerous innovations in the world of geography online in recent years, from Google Maps to OpenStreetMap, FireEagle to Twitter, and many more, but most (if not all) of these developments have come from commercial or open source worlds with little support from the public sector - unless you had access to large amounts of money to pay for their data. The British Government is now starting to see the benefit of opening up data though, and I'm particularly happy to see the Ordnance Survey looking to make more data available to the public. All of which should stimulate innovation even further as it starts to make information available that was previously locked up in only commercially available datasets. Related to this overall effort, the OS is currently promoting their GeoVation Challenge to encourage people to share their ideas for geographic innovation. There is even money up for grabs for the best business ideas proposed, designed to help get those ideas to market. So, if you have ideas for map-based or generally geographic things you'd like to see developed, but don't have the time or knowledge to do it yourself, you can share them in the GeoVation Ideas Challenge and be in with a chance of a tour around the OS headquarters in Southampton (an interesting visit if you get the chance). On the other hand, if you have a business idea, and are prepared to put the work in to get it going, you can share your idea in the GeoVation Awards Challenge and be in with a chance to win up to £10,000 to help get your venture off the ground. If you're interested in taking part, you will need to act fast as the closing date for entries is 4 January 2010. Best of luck! After two years of working from home, I've decided it's time to make a move back into an office and look for some contract-based or perhaps permanent work in London. I have four years of experience using, developing and helping guide the development of Drupal projects as well as a background and interest in all things geographic, from maps to open data (as you've probably seen from the topics I cover in my blog). With these skills I am looking to find some work as a Drupal developer for an organisation based in London, ideally integrating my geographic interest. Alternatively, I'm open to other opportunities that I may be suitable for. If you have, or know of, any positions coming up from January onwards, I'd love to hear from you to discuss the details. You can find out more information about me in my CV (pdf) or on my LinkedIn profile. There are a number of iPhone apps - such as OffMaps - which let you use OpenStreetMap data, and view the maps, on your iPhone and iPod touch, but there hadn't been any apps which let you edit the data, until now. 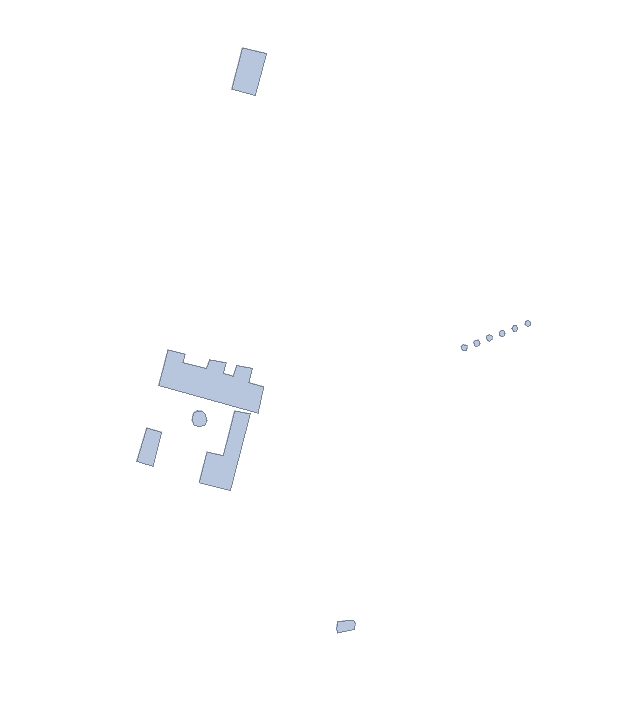 If you are a member of the OpenStreetMap community, you've probably been out and about at some point and looked at something and thought 'hmm, I wonder if that [insert interesting thing here] is already on the map?'. Well, now if you have an iPhone you can quickly check whether it is or not, and either add it or update its details directly in the OSM database. The first iPhone editor to launch on Apple's App Store is Little OpenStreetMap Editor (iLOE), an app that allows you to add or edit OSM nodes wherever you are. While its user interface isn't very friendly at the moment, hopefully it will improve in the future and make it easier for users to edit the data around them. 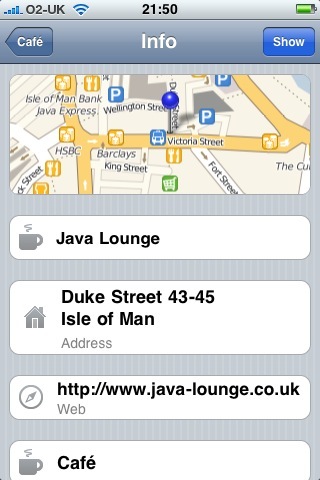 In the mean time, it does do the job, so if you're desperate to edit OSM on the move, give it a try. Cloudmade are also working on an app - the Mapzen POI Collector - which aims to give a quick, user friendly way of editing OSM data. The app tries to make it as simple as possible to contribute to the project from your iPhone, whether you were an OpenStreetMap contributor before or not. The only thing you need to do is sign up for an account at openstreetmap.org, and the app will let you add all sorts of information without having to know anything about the tagging scheme used in the project. Currently awaiting moderation to get into the App Store, the app should be available very soon, and is definitely worth trying out when it's available. If you're interested, you can sign up to be notified when it's out. I've tried out some pre-release versions which have been shaping up very well, as these screenshots in their tutorials show. A number of apps are available on other mobile platforms which will let you view OpenStreetMap data, and a few of them also allow editing, including the Java-based TrackMyJourney app which I recently tried out on my Nokia N95 phone. Before traveling back to the Isle of Man for the second Manx mapping party, I received an email from Juan Watterson, the Member of the House of Keys (MHK) responsible for the Isle of Man Government's mapping efforts (as part of the Department of Local Government and the Environment) who was interested in OpenStreetMap and in particular the Isle of Man mapping project. Juan kindly put me in touch with the Government's Senior Cartographer, Rob Clynes, with whom I met up when I was on the Island. Back in 2007, Rob offered Nick Black the use of the official 1:100,000 small scale map of the Isle of Man from which to gather data for OpenStreetMap. 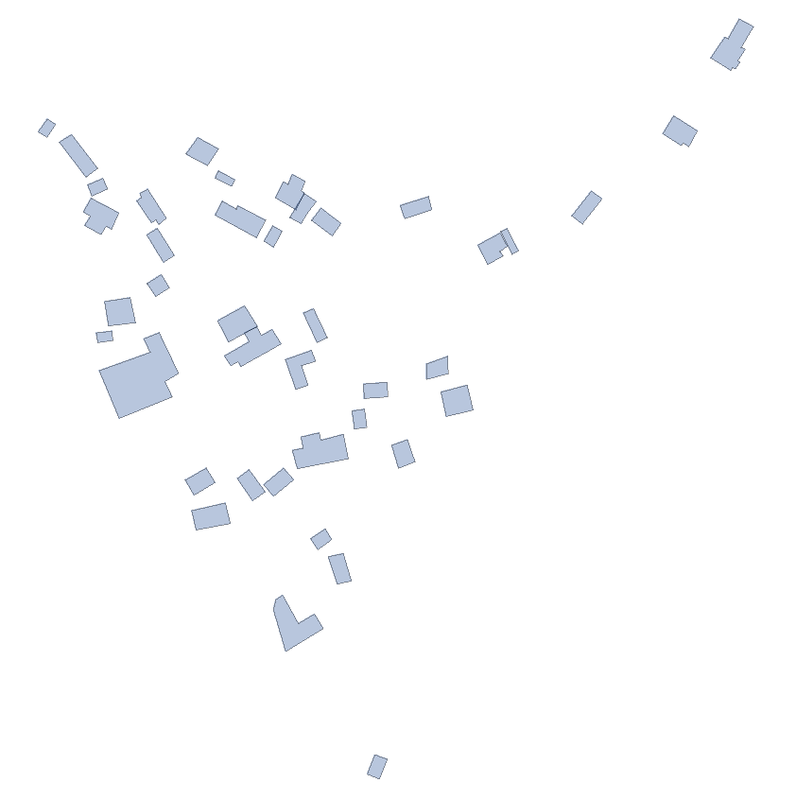 Since then, CloudMade mapped the Island more thoroughly than we had done previously, and donated their data. While that gave a massive boost to the map data for the Island, there was still plenty more information which could be added to the map, hence the recent mapping party. Meeting with Rob, he talked me through me some of the work he does, like digitising high resolution aerial imagery, change monitoring, co-ordinating the updates of the imagery, and cartography for the smaller scale maps (1:100,000 and 1:25,000) they produce - largely as a side product - and turn into printed maps. It was interesting to compare the data collection and management processes they have with those we use in the OpenStreetMap project, comparing my Walking Paper scrawls and GPS tracks from the weekend before with the official map data creation. There is a massive amount of information which we can gain from these datasets still, and I will be posting some ideas soon about different possibilities, such as collecting place names, paths and tracks, historic sites, outlines of the national glens, open rambling land, etc. 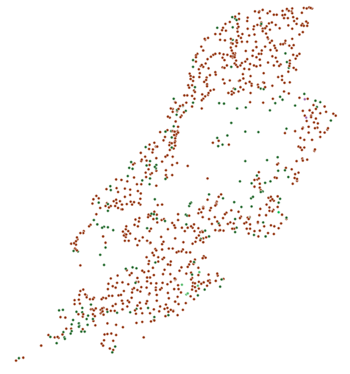 as well as using the data for error checking and correction in the existing OpenStreetMap dataset. I am planning to make these datasets available as a WMS server that can be used in JOSM (and Potlatch) for editing, once I've had a chance to organise it, and have had an official license document through. If you're interested in helping collect data from the data to add to OpenStreetMap, please leave a comment below or get in touch. * Isle of Man Government map data and aerial imagery © Crown Copyright, DLGE; OpenStreetMap data © OpenStreetMap and contributors, CC-by-SA. In just two weeks time, on Saturday 1st August 2009, I am going to be organising a mapping party in Douglas, Isle of Man for the OpenStreetMap project. The aim of the project is to build up a map of the world that can be used without the restrictions that are typically imposed by mapping providers such as Google Maps. 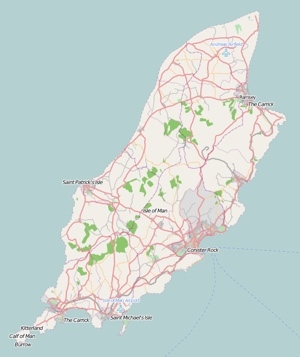 The Isle of Man already has a great amount of map data in the database - as you can see on the map at openstreetmap.org - so we have a good starting point, but it isn't yet complete, so there is plenty of information that we can still add. 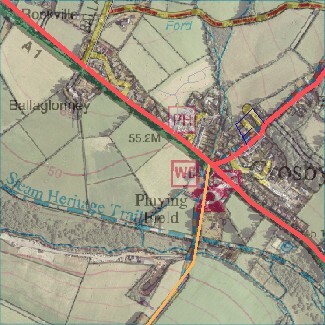 While the road network is very close to complete, we are missing many of the points of interest you might like to see on a map, or be able to search for (perhaps through a website, or in the future from your in-car navigation device), like pubs, cafes, restaurants, libraries, hotels, historic sites or museums, for example. We also have some Manx names for places and streets, but this isn't yet widespread, so it would be great to capture this information from street signs around the town. As we have a good street network already, the need for a GPS isn't as important as it was earlier on in the project, so the plan for the mapping party is to use printed maps (from the excellent Walking Papers project) onto which we can add annotations during the day. At the end of the day, we can use the paper maps for reference when entering the information into the map through the OpenStreetMap website, or scan them in and deal with them later, depending on how tired people are after a day's mapping. If you're on the Isle of Man and interested in making or using maps (or just the underlying map data), then do come along and find out more. If you're also interested in a little exercise, come out with us and explore Douglas for the day, collecting information to add to the map. 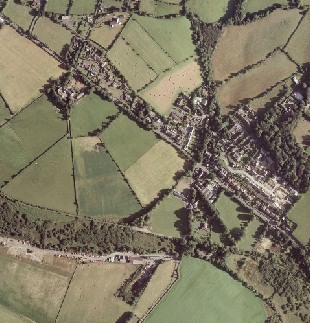 You can find out more on the OpenStreetMap wiki, or alternatively contact me if you'd like more information. 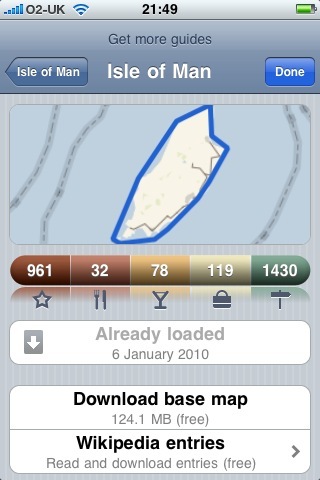 If you run an organisation on the Isle of Man which uses geographic information (e.g. business listings) and would like to find out more about including your information in the map database so they can be displayed on the map, or would like to use the maps on your website with your own information displayed on top, please get in touch.